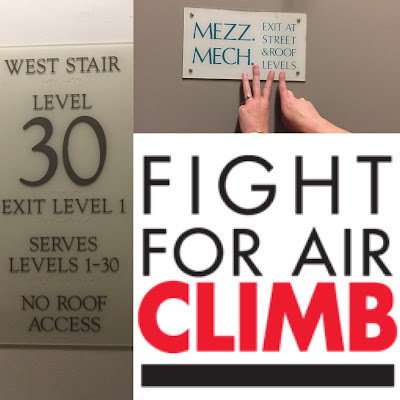 Three weeks from today, I will be climbing up 29 flights of stairs for the American Lung Association. I signed up early December with super high hopes. On Wednesday my team and I climbed up 31 flights of stairs during our training session. It was very difficult. At times it felt like I would collapse. But I persevered. Confession time: my insecurities are at an all time high. I am majorly overweight and it's impossible for me to do those stairs without taking many breaks. I have over 100 lbs to lose. I'm five feet and possibly a half an inch under 5'1" so climbing stairs takes me a really long time. I blame my super short legs. I had a breakdown Thursday night and cried out to my husband that I was thinking of giving up. I climbed the flights, I said but I did it so slowly with many breaks in between and I felt l like I would be letting my team down if I couldn't do it without stopping. Which would be impossible. Because hello, over 100 lbs to lose! 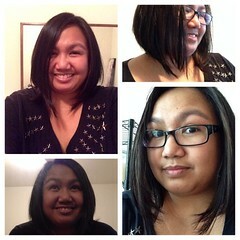 I also haven't raised any money and I was just feeling really discouraged. Luckily my husband was able to talk me down from my hysterics. Yesterday afternoon I climbed the 31 flights of stairs again. And yes I huffed and puffed. And yes I took many breaks. But I didn't give up. I'd like to think that counts for something. ps. If you're interested in donating to the American Lung Association to aid in their research, education and advocacy efforts, please check out my page!